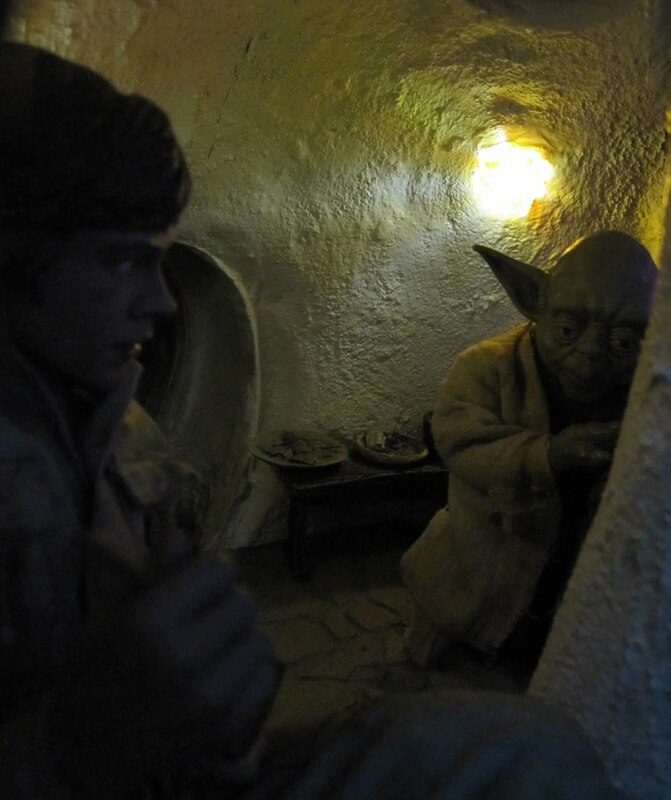 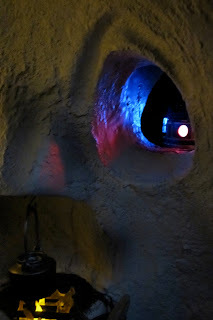 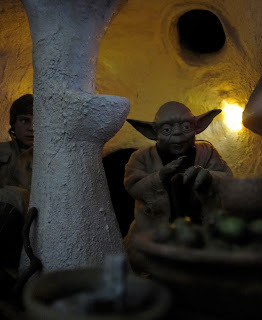 Greggo's customs and paint work: 1:6 Sideshow Yoda's Hut Diorama Full Repaint. 1:6 Sideshow Yoda's Hut Diorama Full Repaint. 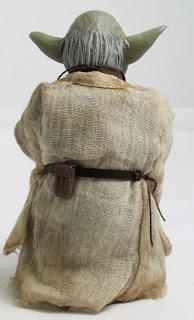 This is a big post and boy this think deserves a big post. 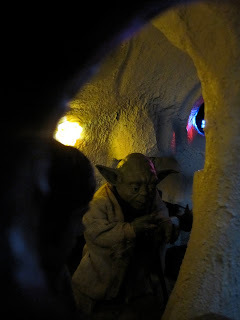 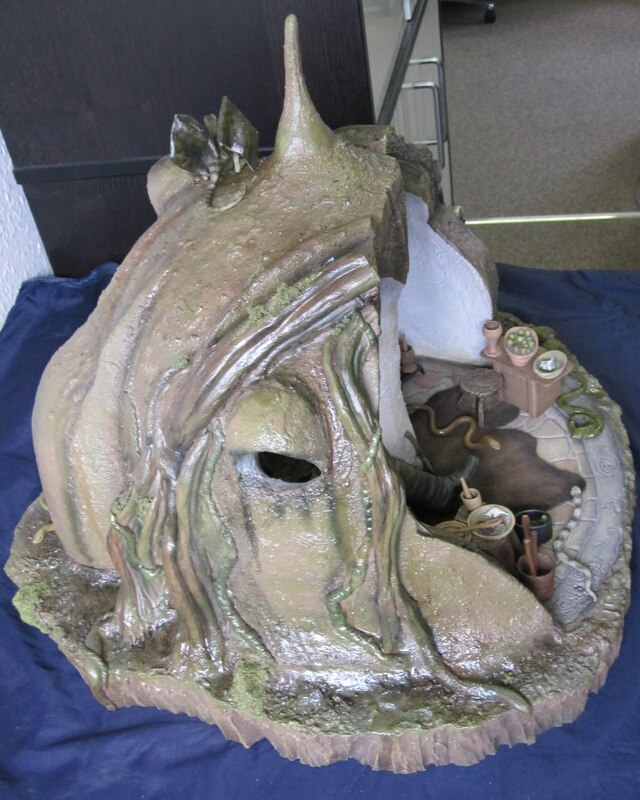 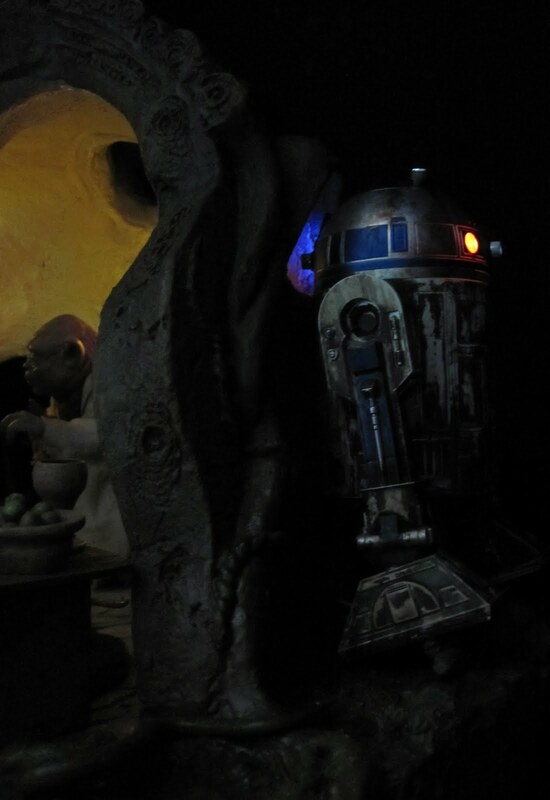 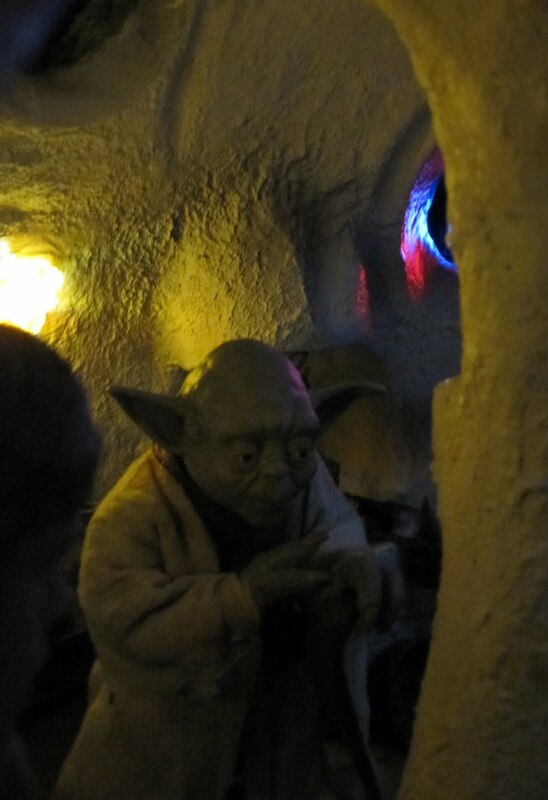 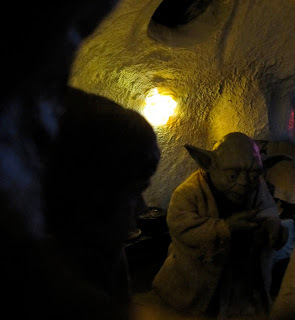 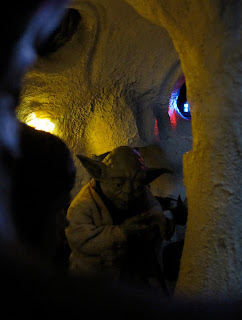 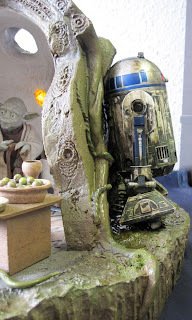 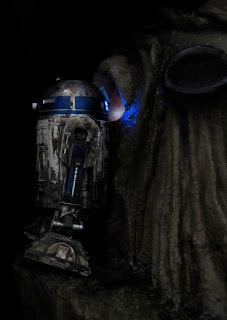 This is Yoda's Hut Diorama by Sideshow. 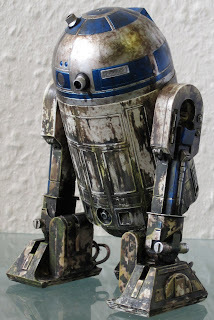 The first thing I must say is that this is with out doubt some of the best if not the best resin work I have seen. Sideshow has done an amazing job, and in my opinion for the money its a steal. 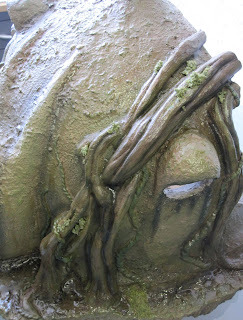 The Work is stunning. So why the repaint? 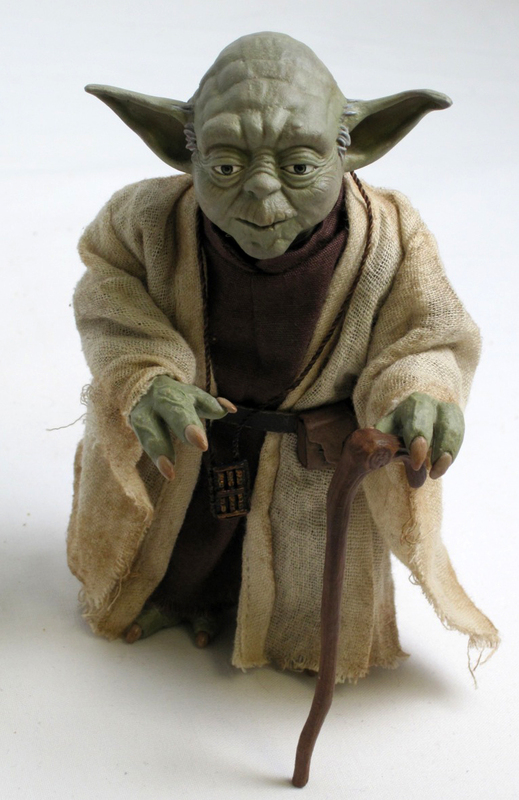 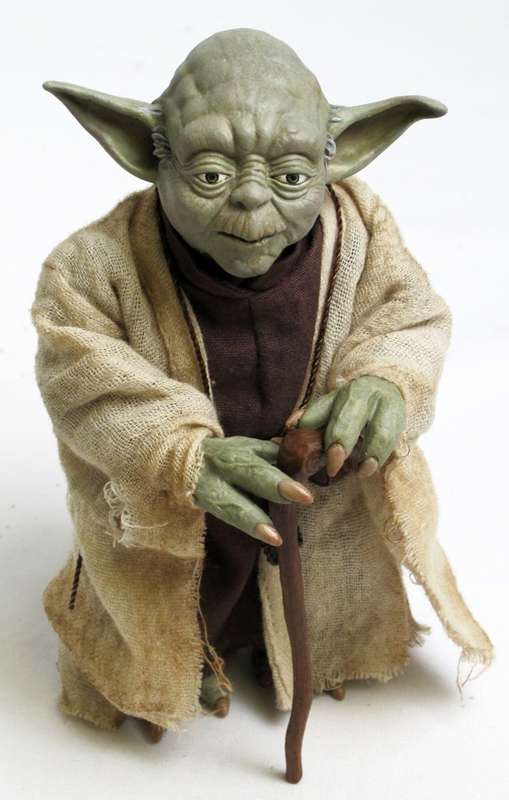 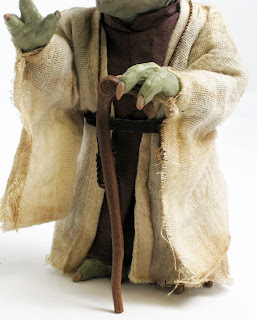 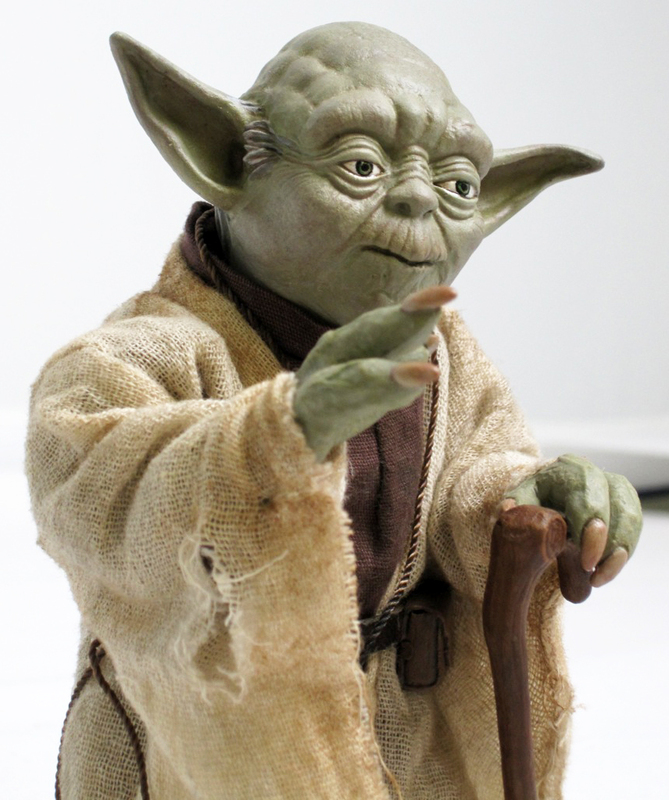 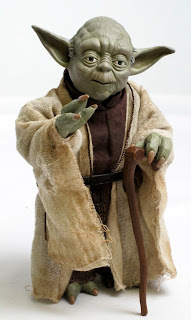 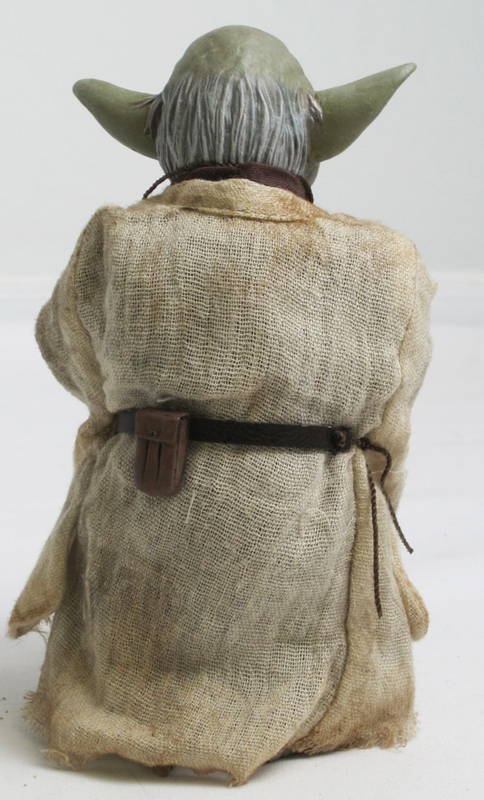 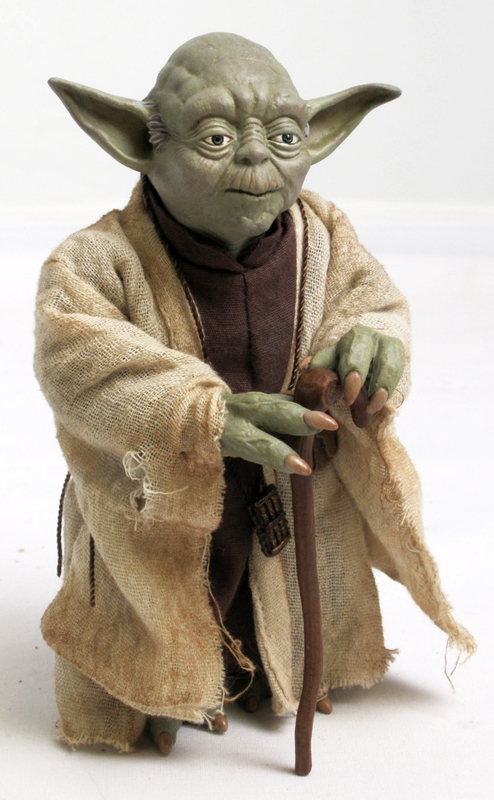 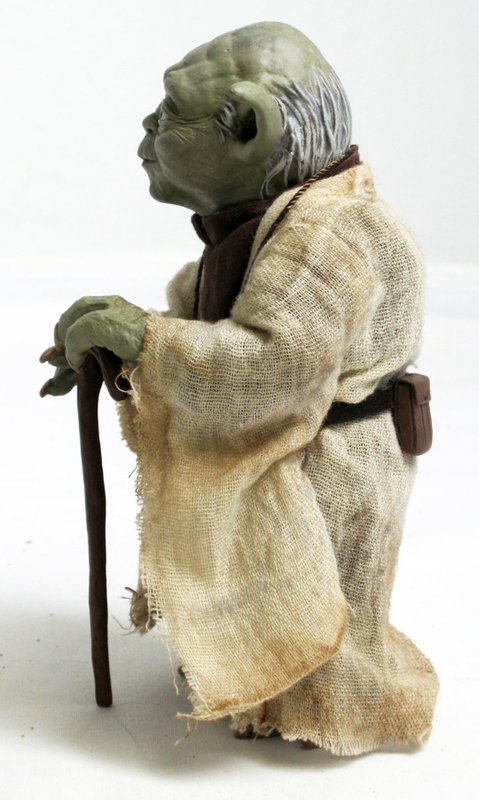 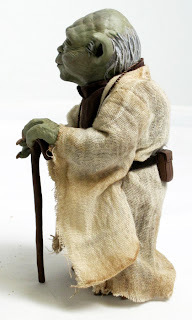 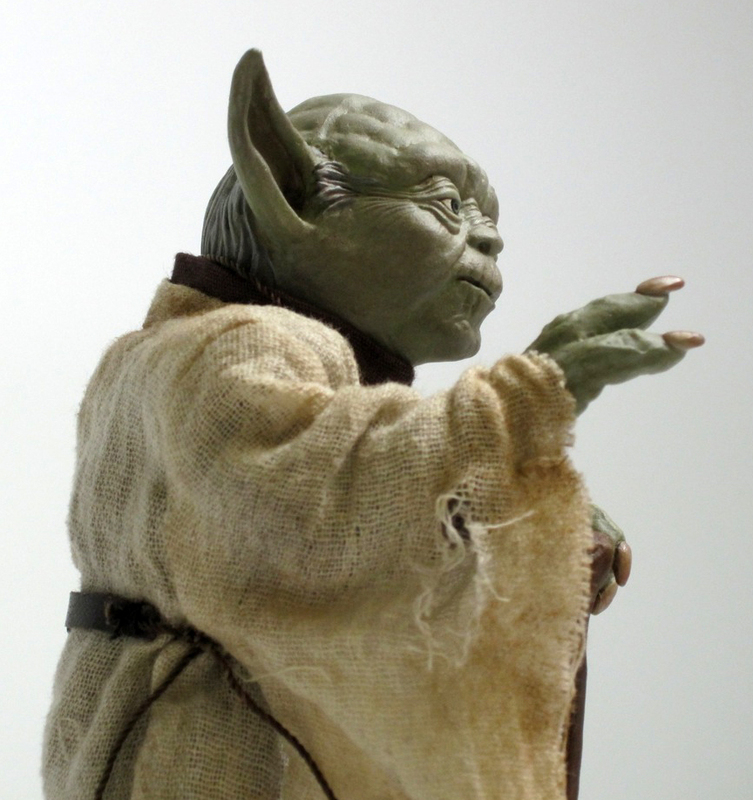 Lets start with Master Yoda by Sideshow. I know I have posted the same pics before but Yoda was painted for this piece. 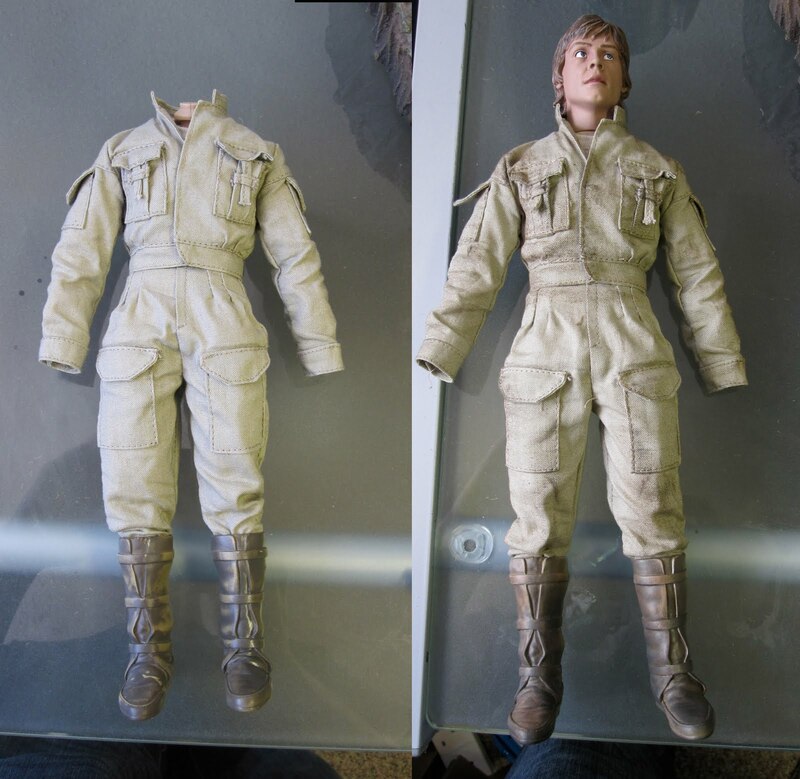 Sideshows piece was far to green so I repainted and matched to the reference from Empire Strikes Back. 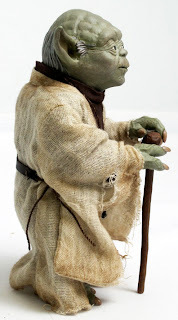 Weathered and ripped the clothing and repainted hands, feet and his cane. 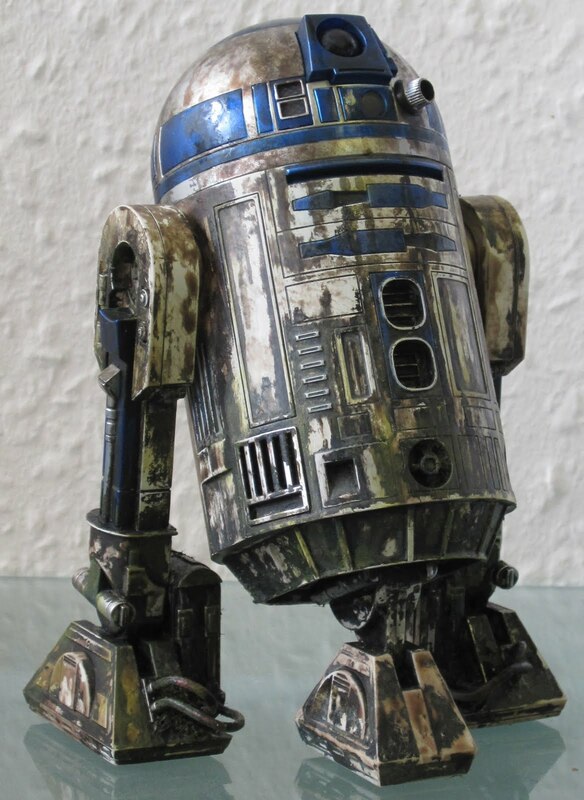 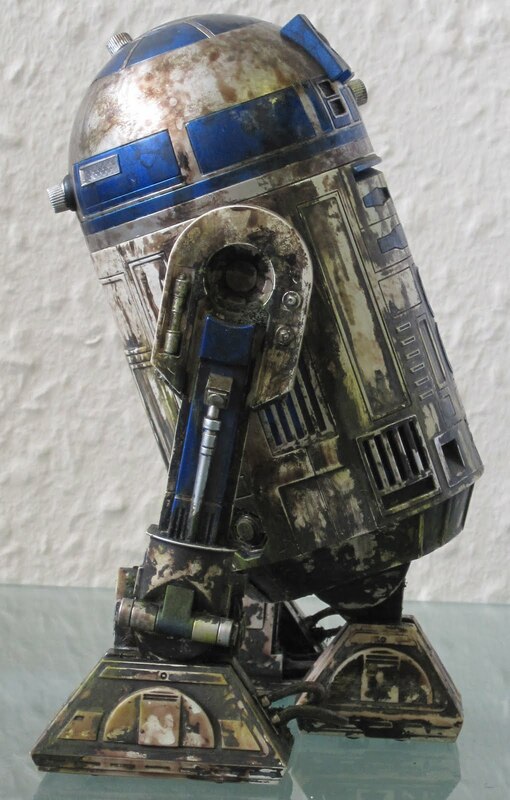 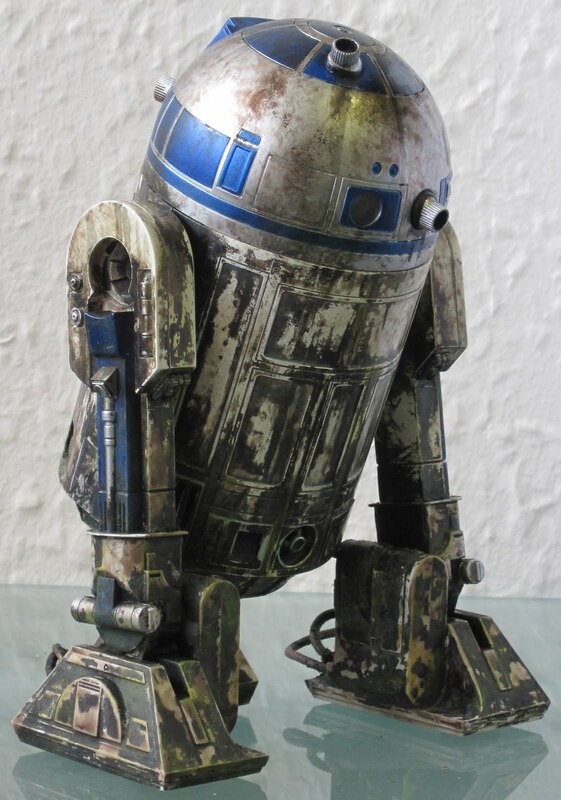 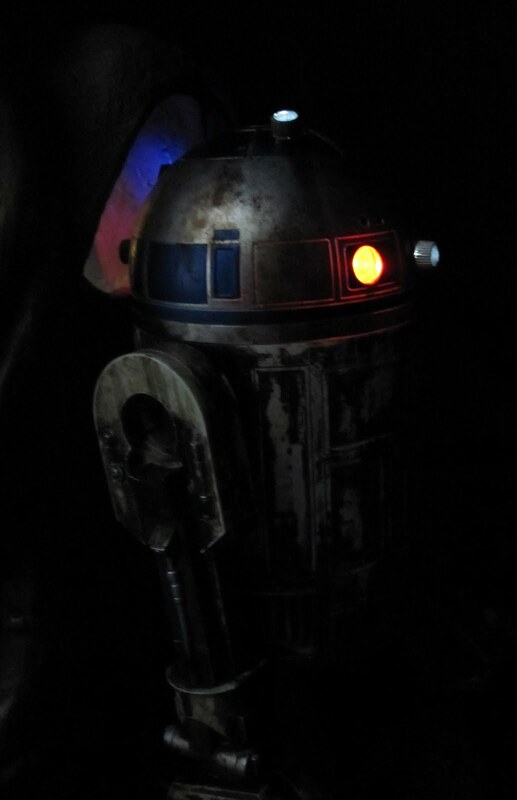 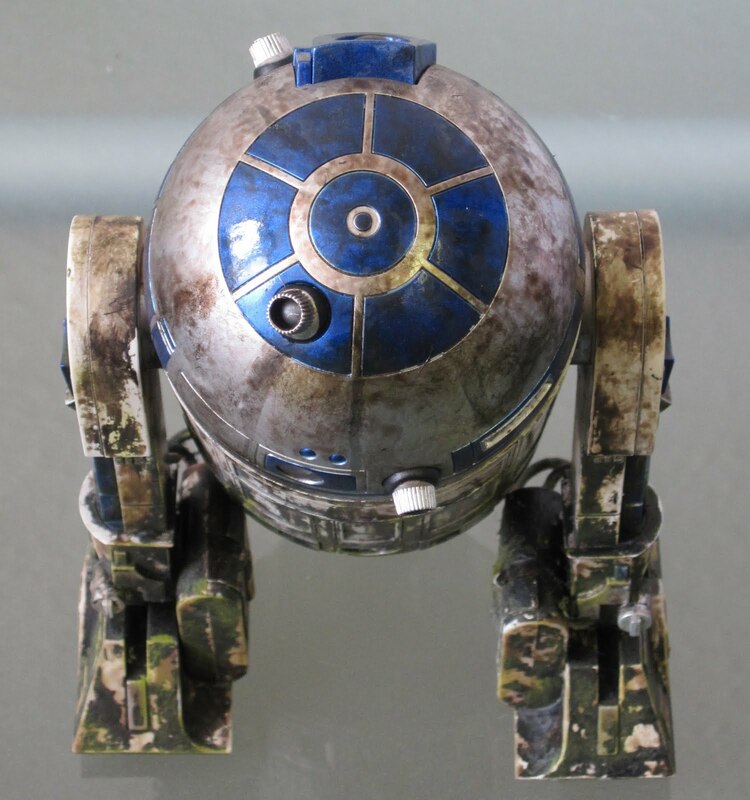 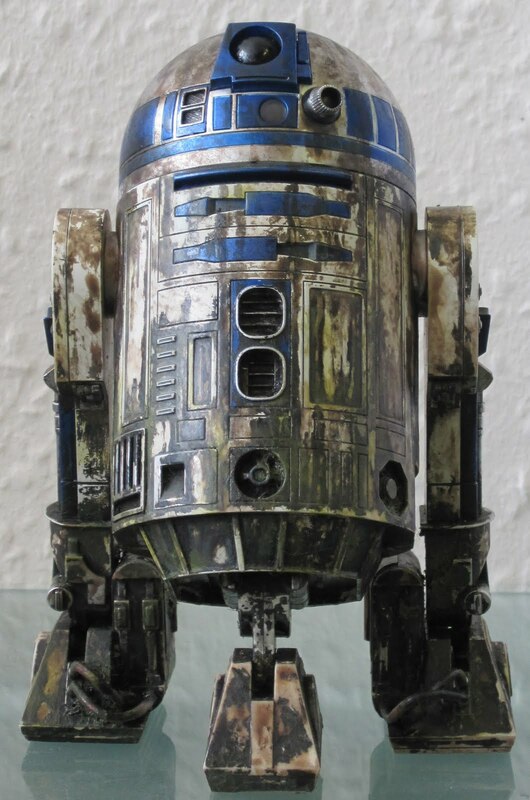 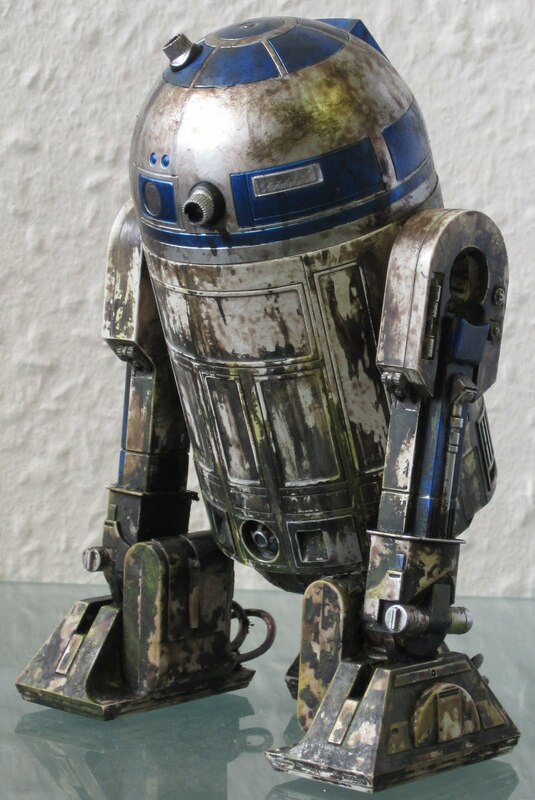 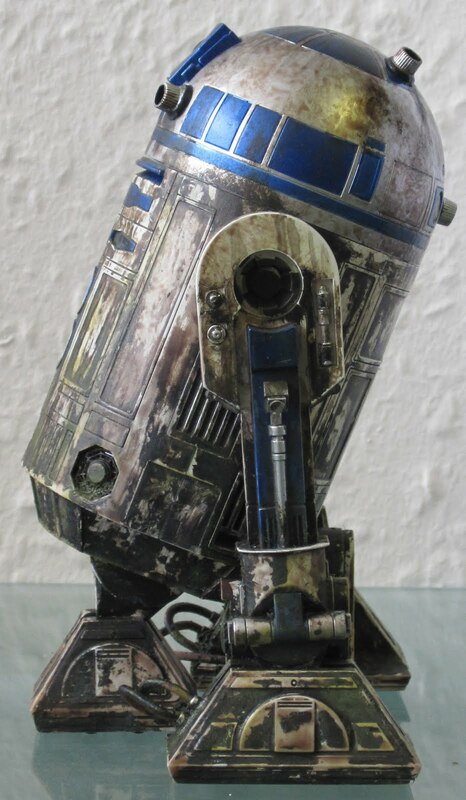 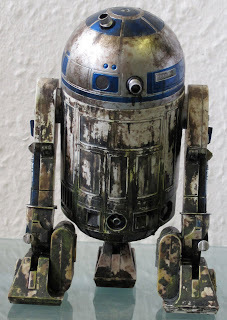 Next Up is Medicom's R2-D2. 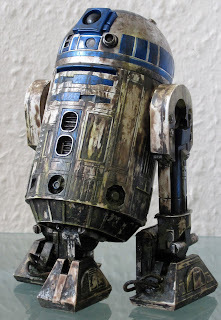 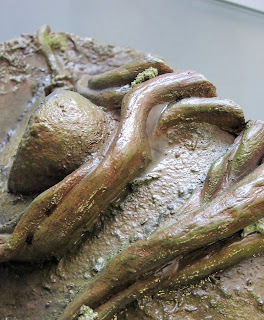 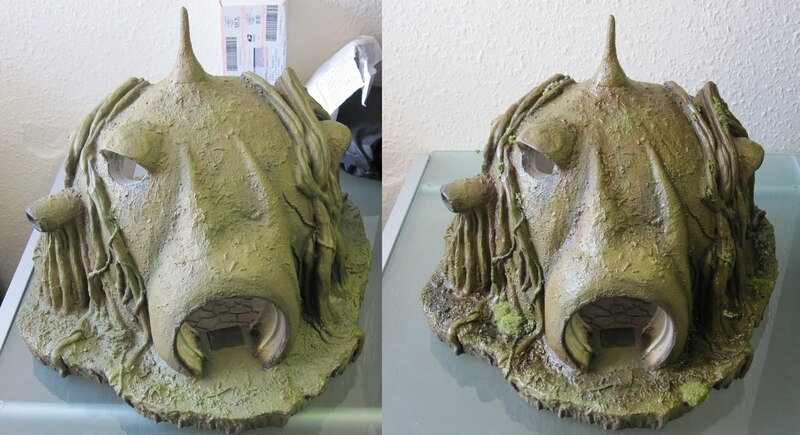 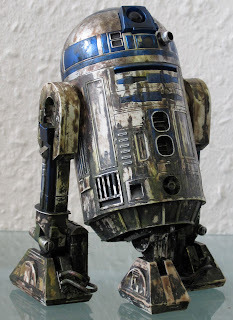 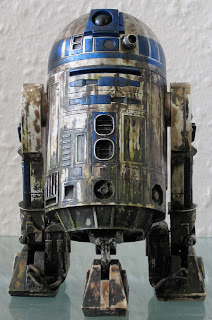 This I have to admit I was crapping myself when it came to weathering, as this piece is very expensive. 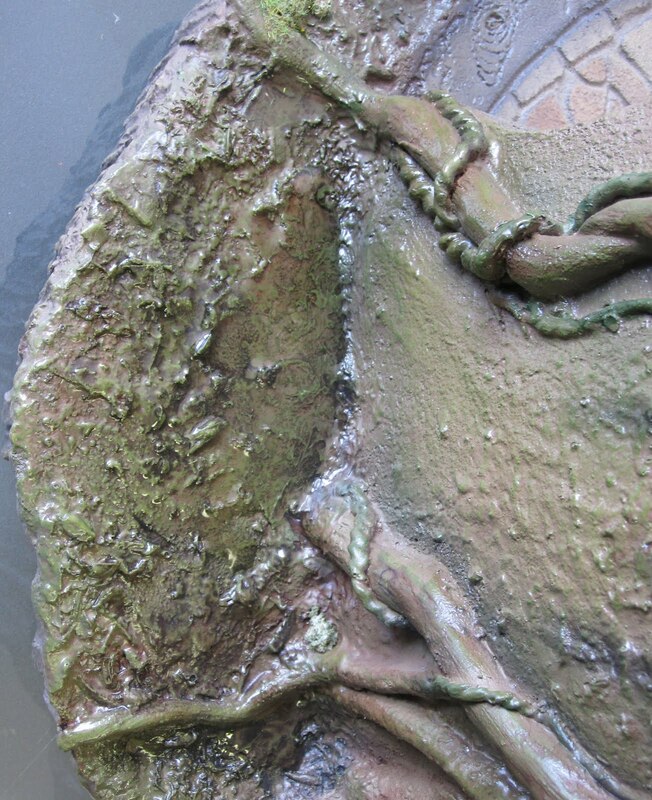 I started with washes to create a running mud effect. Then mixed flock with paint and applied to the detailed areas and finally drybrushing and varnish is applied to create the running water effect. 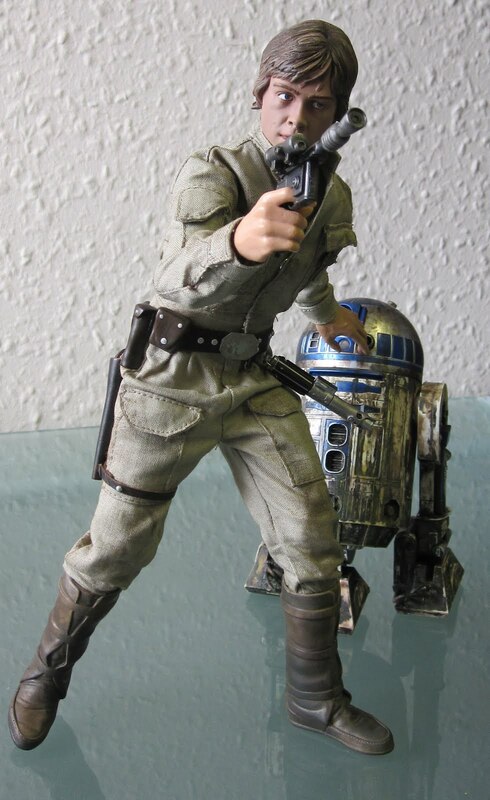 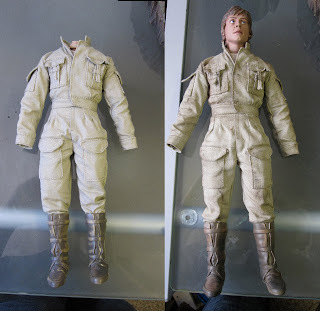 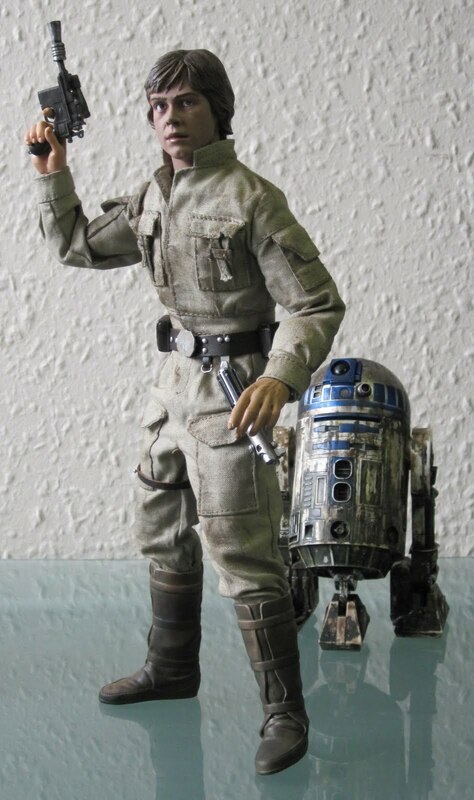 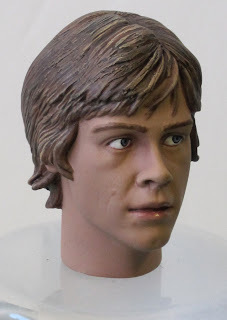 Now some of you maybe aware of Sideshow's Luke Skywalker in Bespin gear figure and the fact the likeness is not as strong as some of thier newer stuff. 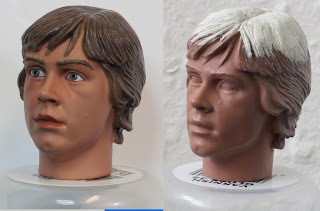 I main problem with it was the lack of fore head and how flat his hair looked. 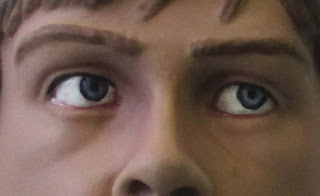 So I added and sculpted hair with Fix It Sculpt (a two part mixing product similar to muliput but softer and easier to use). 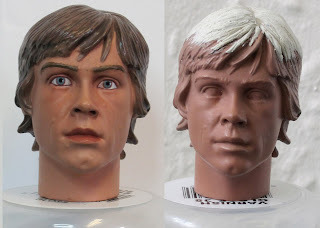 Already I saw a huge difference in the sculpt from a very minor change. 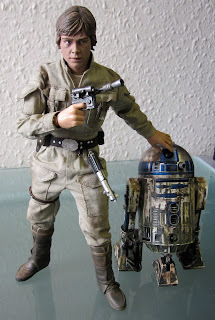 Not only did I repaint his head, but I weathered the clothes, belt, blaster, lightsaber and boots. As for his hands I wanted to make him look like he's holding the spoon and bowl, I have many hands to choose from but I still need to heat them up so that I could get the spoon in and to make him hold the bowl. I can tell you now I haven't done much to the exterior at all. Repainted the roots and a drybrush here and there. I have also added Flock and varnish not to mention puddles which I used Solid Water by Deluxe Materials which is a fantastic product to use. 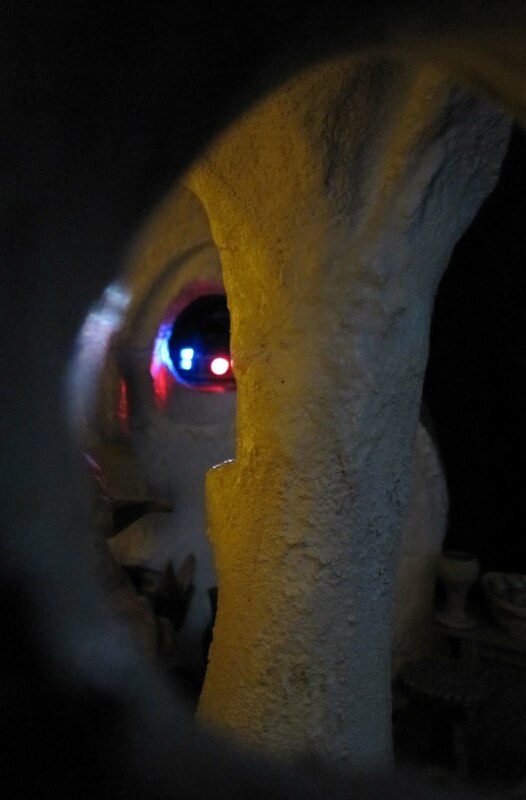 I also changed the lighting inside the Hut as it was too green in colour so I removed the paint and added orange and a yellow colour to make it more homely. 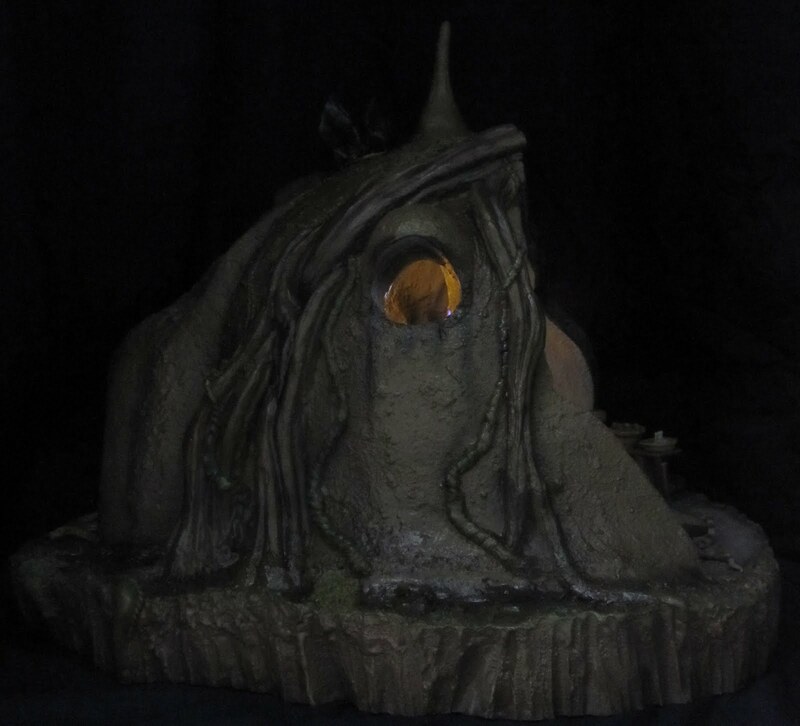 The finished piece with Daylight Photography. Great work on this. 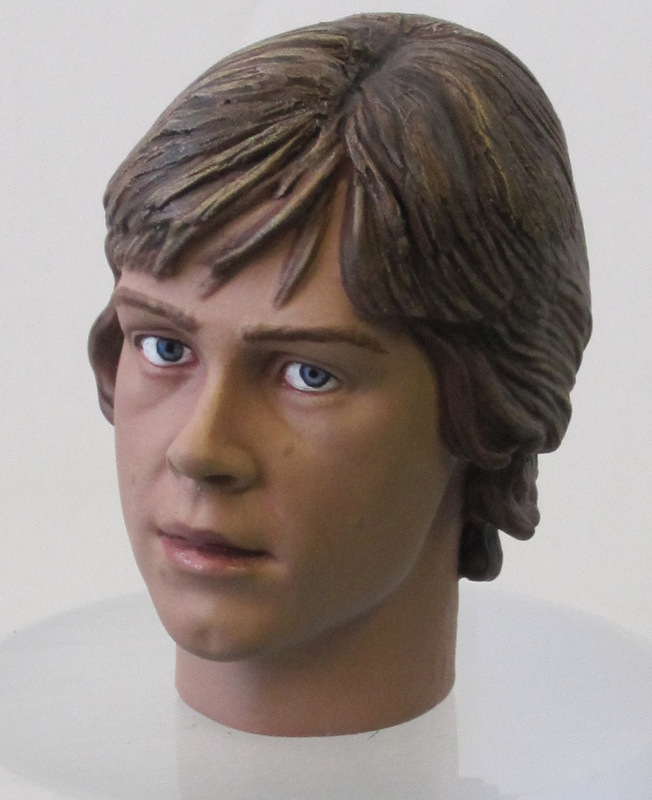 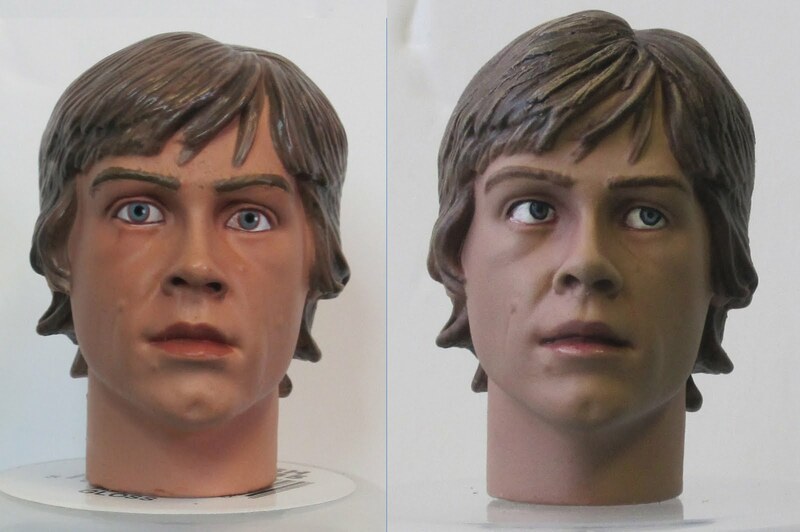 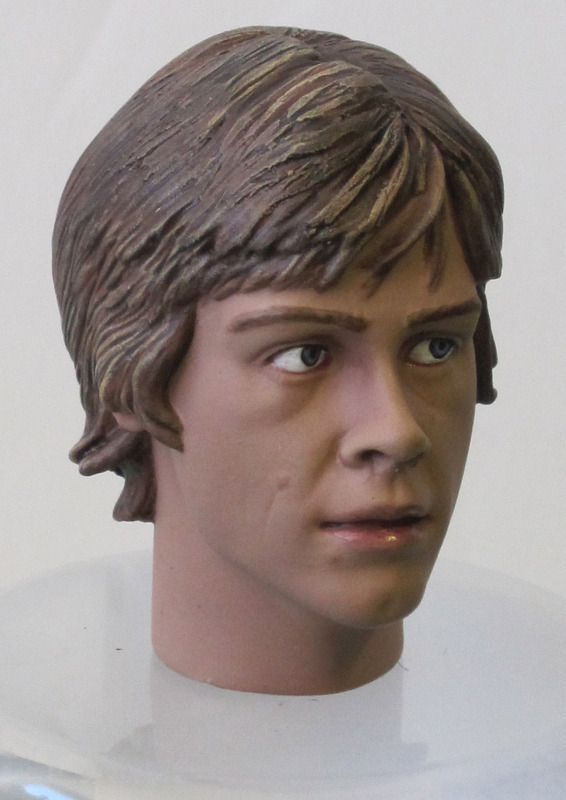 Are you going to make casts of the Luke head available? 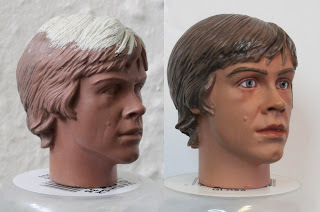 It's a subtle change that makes a huge difference.